Tinnitus: could your diet be the culprit? A great many of us, whether we remember these times with fondness or regret, have had nights when excessive drinking led to a killer hangover that effectively ruined the entire next day. That hangover experience normally includes headache, nausea and fatigue, but for some people, it can also include non-stop tinnitus, or ringing in the ears. eating, make your tinnitus worse? 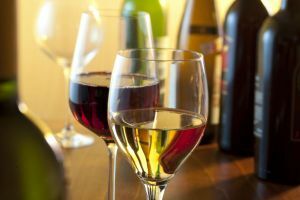 Drinking booze can be a major culprit behind tinnitus, but as it turns out, so can many other things we put into our bodies. For some people, that can mean certain medications, caffeine or sodium can bring about annoying tinnitus that just won’t stop. Chronic tinnitus is not well-understood, and there is little hard evidence or peer-reviewed research to support a definitive connection between tinnitus and food. However, many tinnitus sufferers have experienced a worsening of their symptoms with certain foods. Some report changes in severity in their symptoms with certain foods or beverages. Could something you’re eating or drinking be causing that awful ringing in your ears? The best way to investigate if a food is causing your tinnitus is to keep a food journal. It may be laborious, but it’s worth the time and diligence if it improves your quality of life. As the British Tinnitus Association suggests, “The diary may have to be detailed, specifying what type of meat, vegetable, cheese, fish and so on was consumed, as one particular type of vegetable, for example, may aggravate the tinnitus, where others have no effect.” Pay attention to your tinnitus and keep detailed notes of any starts, stops or changes in the intensity of the noise. The British Tinnitus Association advises that a food suspected of contributing to tinnitus should be avoided for a week. You can challenge your system by reintroducing that food, withdrawing it, reintroducing it again, and withdrawing it again to test its effects on your tinnitus. Maintaining a food diary might offer an insight into your dietary and tinnitus patterns, which may or may not reveal a correlation. From that correlation, you can decide to make changes to find the relief you're looking for. What is most important is to give your body the diet it does best with and that minimizes agonizing tinnitus. Maybe that means no more than one glass of red wine each day, or maybe no wine at all. Maybe that means no cheese or chocolate or red meat or coffee. Because tinnitus and hearing loss often go hand in hand, see a hearing healthcare professional who can find out whether your tinnitus is accompanied by hearing loss. In many cases, simply wearing hearing aids can lessen tinnitus. And, before making any drastic diet or lifestyle changes, consult your doctor.